You don’t need us to tell you that, if you run an e-commerce site, you want customers who will buy your products. Obviously, you want to make sales. Also, you likely want to create loyal customers who continue to make purchases time and time again. There’s also a good chance you want to reach out to those who don’t know your brand (i.e. potential customers) to serve as a point of reference for your products and/or services. 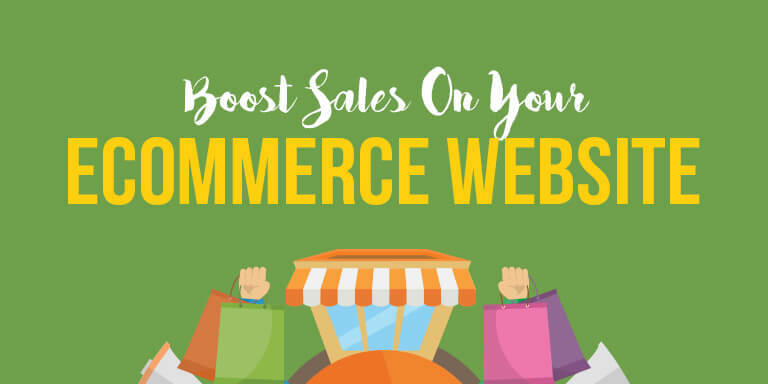 While creating a website that hosts all of your latest and greatest goods and/or services is certainly a starting point, you’ll need more than that to make sales. What if your website was harming your sales or, at least, not boosting them? Unfortunately, many e-commerce retailers unknowingly make simple mistakes that result in the loss of customers. The entire goal of your website is for the customer to be able to select items they want, and to make purchases. However, they can’t do this is if the site is hard to navigate or doesn’t make sense. Aim for a page that customers can navigate with ease. Each category (and subcategory, for that matter) should be clear and located in a central location on the page. You want a customer’s eyes to easily scan the tabs and know where to look for a certain product. Test your page by asking others to find products. If they have trouble, ask questions, or can’t locate an item or category within a few seconds, you need to go back and simplify navigation. Remember, your page should be easy on the eyes and organized. Others should not have to ask where something is or have trouble finding an item. All tabs, categories and subcategories need to be self-explanatory. Every single successful website has a search bar. There is no arguing this fact. While your site may be easy to navigate, a search bar gives a user a convenient way to find exactly what he/she is looking for. This is especially huge for an e-commerce site. If a customer goes to your page, types something in the search bar, and has trouble finding an item, chances are you lost the sale. So, it’s imperative that you always make sure the search box is clearly defined, large enough, centrally located, and working. This one is HUGE. If you have an e-commerce site, we can’t stress enough how important it is to streamline the checkout process. Shopping cart abandonment happens because a site has a checkout that is too complicated, asks too many questions, and/or makes payment hard. Just because a customer adds something to his or her cart does not mean you have them, yet. Make checkout as simple as you possibly can. You want as few clicks as possible from the time a user adds something in the cart to when they make their payment. With that being said, you do want to provide options. A customer may purchase an item as a gift, and it’s no secret that consumers eat up coupons. Make sure to have a box available for coupon codes and a gift-wrap/note option. As with the entire checkout process, shipping is a big deal. You should always make it apparent what the shipping costs will be before the final stage of checkout. The sooner a customer knows what his or her shipping costs will be, the less likely he or she will abandon the item. You’ve put your heart and soul into your business. That means creating your products and the website, and appealing to all potential customers. So, don’t ruin all your hard work with over-pixilated images, a lack of descriptions, or a lousy website. For your products, make sure that you only use high-resolution images. Include multiple shots, different angles, and be sure to enable a zoom option that clearly shows the product off. Also, make sure you include a good description that includes the product’s dimensions, weight, composition, and any other important information. You want to make sure the presentation of the site is also appealing. Even if it initially takes longer to create in the beginning, you want to be sure to use only top quality when it comes to your site. This is your business, after all.